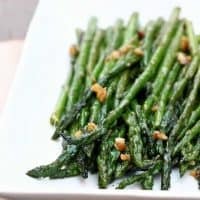 EASY SAUTEED GARLIC ASPARAGUS — This simple side dish features asparagus sauteed in butter and garlic, with a pinch of salt and pepper. I love quick and easy vegetable dishes. 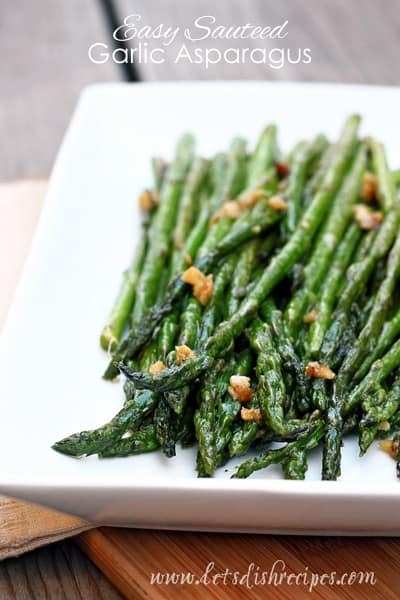 And veggies don’t get any quicker, or easier, than this Easy Sauteed Garlic Asparagus. It’s perfect for Thanksgiving because it doesn’t take up space in the oven and can be made in the 10 minutes or so required for the turkey to rest before carving. 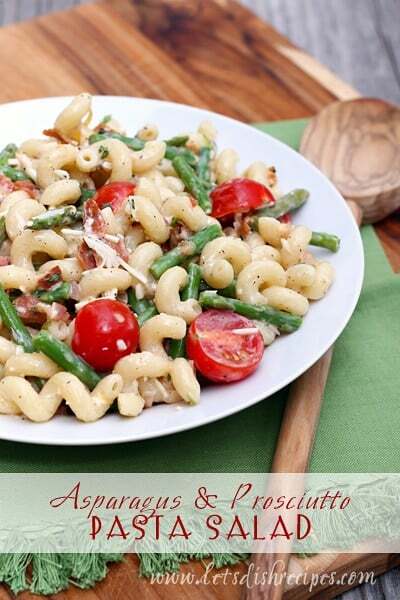 And of course asparagus is always appropriate for your Easter menu! Don’t forget to snap of the bottom of the asparagus before you cook it. Just bend the stalk where the color starts to change from white to green. For a slightly healthier version, I sometimes prepare this with olive oil instead of butter. If you like more tender asparagus, lower the heat and cook for an additional 5-10 minutes. I prefer my asparagus on the crisp side, but to each is own. Either way, it’s delicious, healthy and easy to prepare! 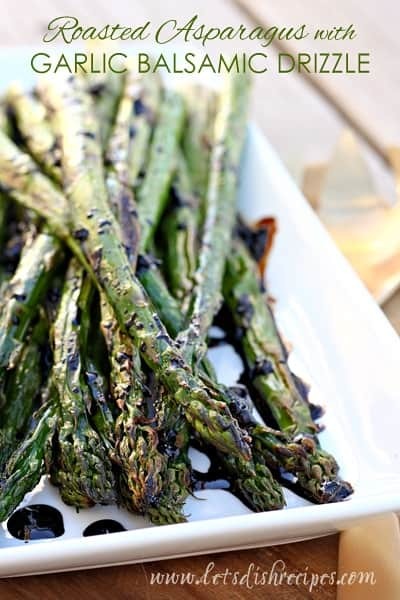 Be sure to save this Easy Sauteed Garlic Asparagus recipe to your favorite Pinterest board for later. This simple side dish features asparagus sauteed in butter and garlic, with a pinch of salt and pepper. Melt the butter or margarine in a large skillet over medium-high heat. Add the garlic and asparagus spears; cover and cook for 10 minutes, stirring occasionally, or until asparagus is tender but still crisp. You make veggies look so good Danelle!!!!!! Love this recipe. Mmm sounds so good and easy to make! Made this last week. So good! Making it again tonight. 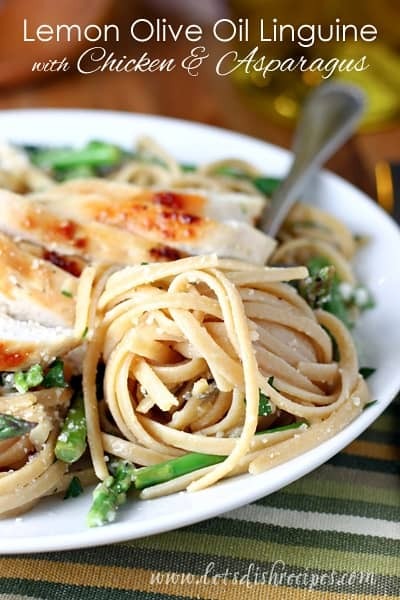 Family loves asparagus and this is so simple.